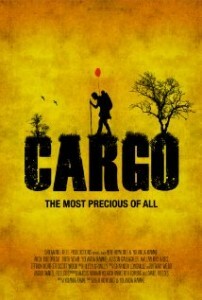 Synopsis: Stranded in the midst of a zombie apocalypse, a man sets in motion an unlikely plan to protect the precious cargo he carries: his infant daughter. My 2 cent: I watched this zombie short a few months back and did not have a “Short of the week” category yet on the site . Since Cargo is by far, one of the best short movie I’ve ever watched and maybe one of the best Zombie story you’ll get to experience, I had to add it to the list. Rather than spending too much time on trying to convince you how great Cargo actually is, I’ll just invite you to turn off the light, put some headphones on and watch it yourself. Let me know how you feel in the comments.